Boasting some of the best views, food, wine and service that Melbourne has to offer, Taxi Kitchen has established itself as one of Melbourne’s prime dining destinations. The menu encourages sharing and showcases fresh and local produce as hero ingredients to create communal and fun dishes. 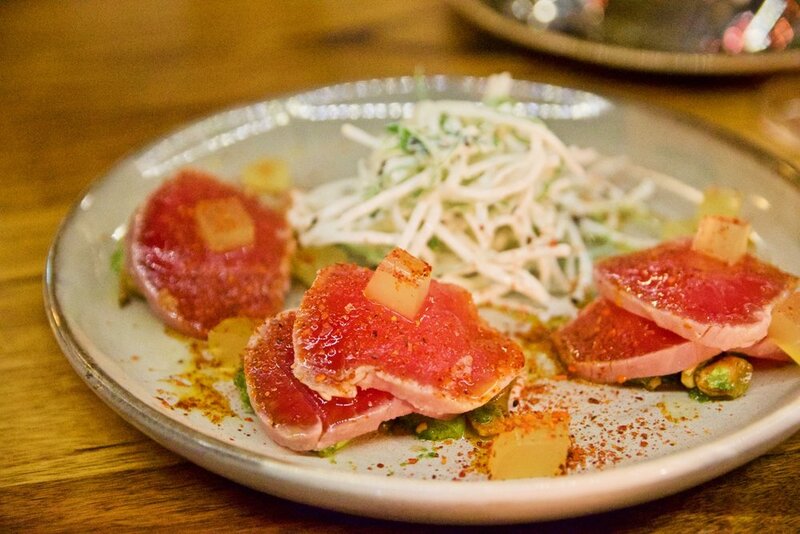 To start, the Sake washed tuna, soybean pesto and daikon salad were one of the highlights from our visit. The soybean pesto dressing was refreshing and flavoursome without being overpowering, thereby preserving the integrity of the beautifully fresh, delicate slices of tuna. Similarly delicious was the dish of confit chicken and shiitake served with handmade pasta in a pork and chilli broth. This was one flavour explosion. We loved the combination of tender chicken and silky pasta in a hearty broth with just the right amount of chilli kick. Simply beautiful. For mains, do not go past the roasted chicken breast. 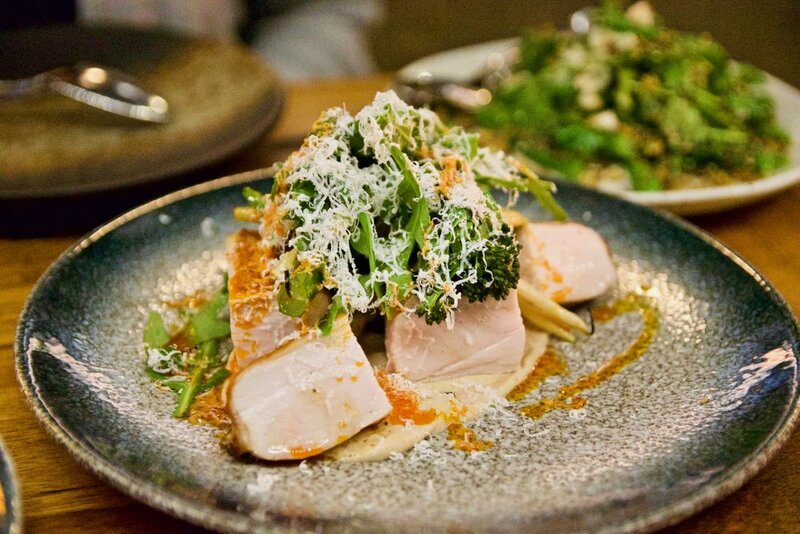 We loved the perfectly cooked chicken which was served with broccolini, beans a luxurious nut cream and chilli oil. This dish was a triumph, both in terms of texture and flavour. The tender slices of chicken were seasoned beautifully with an expertly judged blend of herbs. Desserts at Taxi are wonderful examples of restrained elegance - the Dark chocolate parfait was decadent and exquisitely textured while the Zokoko white chocolate cream was picture perfect, beautifully light and fluffy. Each made for an indulgent end to a wonderful meal. Taxi Kitchen impresses with smart, contemporary dining that boasts a fun, approachable and communal flair.